by Lifeboat Foundation Advisory Board member José Luis Cordeiro. “Extropy” is celebrating its first quarter of a century. The idea was formally introduced as a philosophy of the future in 1988, and many things have happened from the end of the 20th century to the beginning of the 21st century. A new millennium has been born and the philosophy of extropy is well-suited for these new times of accelerating change, full of challenges and opportunities. Since I served as one of the directors of the Extropy Institute (ExI), the World Transhumanist Association (WTA), and now am an Advisor to HumanityPlus (Humanity+), I want to share some of my thoughts about the anniversary of this concept of extropy. Philosopher and futurist Max More began developing his own ideas of “extropy” in the late 1980s, when he moved from his native England to the USA. 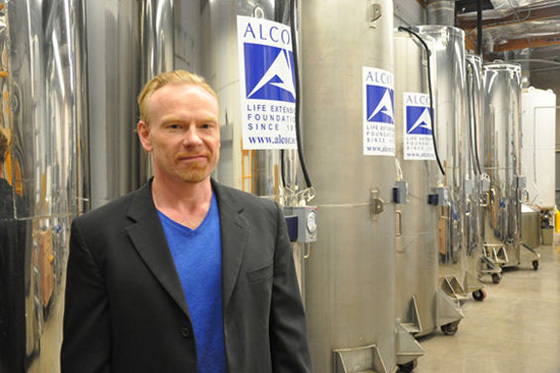 More had studied philosophy at Oxford University, and he started the cryonics movement in England before moving to California to study for a PhD. Together with Tom Bell, More founded the Extropy Institute (ExI) in California. The term extropy, as an antonym to entropy, had been used earlier in academic literature as well. The term was apparently first used in a 1967 academic volume discussing cryogenics, and then again in a 1978 academic volume of cybernetics. Extropy, as coined by Tom Bell and defined by Max More in 1988, is “the extent of a living or organizational system’s intelligence, functional order, vitality, energy, life, experience, and capacity and drive for improvement and growth”. Extropy is not a rigorously defined technical term in philosophy or science; in a metaphorical sense, it simply expresses the opposite of entropy. Futurist Fereidoun M. Esfandiary also developed some original ideas of the “transhuman” concept since the 1970s. His family was Persian (or Iranian now), but he was born in Brussels and finally moved to the USA, where he settled and wrote several books, including his visionary Up-Wingers: A Futurist Manifesto in 1973. He also changed his name to FM-2030 since he said that he was “a 21st century person who was accidentally launched in the 20th. I have a deep nostalgia for the future”. Artist, designer, and theorist Natasha Vita-More had just completed the short 8mm film “Breaking Away” and moved to Los Angeles to work with Zeotrope and 20th Century Fox. There she interviewed numerous futurists, including FM-2030. They teamed-up to form futurist events in Los Angeles. After learning more about the concept of the transhuman, she wrote the Transhuman Manifesto in 1983. She has since become one of the most prominent personalities of the transhumanist movement, valuing the philosophy of Extropy, and having also served as last president of the Extropy Institute and is current Chairman (actually Chairwoman) of HumanityPlus. Humanity+ was originally born as the World Transhumanist Association (WTA) in 1998, which rebranded itself as Humanity+ in 2008. Science fiction author Diane Duane was the first to use the term extropy to signify a potential transhuman destiny for humanity in her 1983 Star Trek novel The Wounded Sky. The extropy term finally became philosophically anchored when Max More first published Extropy: The Journal of Transhumanist Thought in 1988. More and Bell then cofounded the Extropy Institute in 1990, and the ExI became the first transhumanist networking and information center to use current scientific understanding along with critical and creative thinking to contemplate the new capabilities opening up to humanity. The Extropy Institute’s email list was launched in 1991, and in 1992 the institute began producing the first conferences on transhumanism. Affiliate members throughout the world began organizing their own transhumanist groups. Extro Conferences, meetings, parties, online debates, and documentaries continue to spread transhumanism to the public. The fast spread of the Internet greatly contributed to take the ideas of extropy and transhumanism around the world. In 2006 the Board of Directors of the Extropy Institute, where I was a member, took the decision to close the organization. With little financial support and being too ahead of the times, ExI reviewed its vast accomplishments and decided that its original mission in developing the philosophy of transhumanism and creating the transhumanist movement was “essentially completed”. Natasha Vita-More wrote then, “In respect for the philosophy of Extropy and the Principles of Extropy, the Board of Extropy Institute believes that Extropy Institute has served its mission and achieved its goals.” The Board has continued to work independently of ExI to further transhumanism. 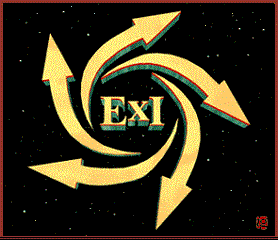 ExI’s website is still active and serves as a library for knowledge on transhumanism and its history. Let’s now celebrate the next quarter of a century of extropy thinking about our inner and outer worlds full of untapped possibilities. Perpetual Progress: Extropy means seeking more intelligence, wisdom, and effectiveness, an open-ended lifespan, and the removal of political, cultural, biological, and psychological limits to continuing development. Perpetually overcoming constraints on our progress and possibilities as individuals, as organizations, and as a species. Growing in healthy directions without bound. Self-Transformation: Extropy means affirming continual ethical, intellectual, and physical self-improvement, through critical and creative thinking, perpetual learning, personal responsibility, proactivity, and experimentation. Using technology — in the widest sense to seek physiological and neurological augmentation along with emotional and psychological refinement. Practical Optimism: Extropy means fueling action with positive expectations — individuals and organizations being tirelessly proactive. Adopting a rational, action-based optimism or “proaction”, in place of both blind faith and stagnant pessimism. Intelligent Technology: Extropy means designing and managing technologies not as ends in themselves but as effective means for improving life. Applying science and technology creatively and courageously to transcend “natural” but harmful, confining qualities derived from our biological heritage, culture, and environment. Open Society — Information and Democracy: Extropy means supporting social orders that foster freedom of communication, freedom of action, experimentation, innovation, questioning, and learning. Opposing authoritarian social control and unnecessary hierarchy and favoring the rule of law and decentralization of power and responsibility. Preferring bargaining over battling, exchange over extortion, and communication over compulsion. Openness to improvement rather than a static utopia. Extropia (“ever-receding stretch goals for society”) over utopia (“no place”). Self-Direction: Extropy means valuing independent thinking, individual freedom, personal responsibility, self-direction, self-respect, and a parallel respect for others. Rational Thinking: Extropy means favoring reason over blind faith and questioning over dogma. It means understanding, experimenting, learning, challenging, and innovating rather than clinging to beliefs. Alexander, Brian. (2004). Rapture: A Raucous Tour of Cloning, Transhumanism, and the New Era of Immortality. New York, NY: Basics Books. Alighieri, Dante. ( 2008). The Divine Comedy. New York, NY: Chartwell Books. Asimov, Isaac. (1993). Asimov’s New Guide to Science. London, UK: Penguin Books Limited. Bostrom, Nick. (2005). A History of Transhumanist Thought. Journal of Evolution and Technology – Vol. 14 Issue 1 – April. Chaisson, Eric. (2005). Epic of Evolution: Seven Ages of the Cosmos. New York, NY: Columbia University Press. Church, George M. and Regis, Ed. (2012). Regenesis: How Synthetic Biology will Reinvent Nature and Ourselves. New York, NY: Basic Books. Clarke, Arthur C. ( 1984). Profiles of the Future: An Inquiry into the Limits of the Possible. New York, NY: Henry Holt and Company. Condorcet, Marie-Jean-Antoine-Nicolas de Caritat. ( 1979). Sketch for a historical picture of the progress of the human mind. Westport, CT: Greenwood Press. Cordeiro, José Luis. (2012). Latinoamérica: Del pasado al futuro. México, México: Universidad Nacional Autónoma de México, UNAM. Cordeiro, José Luis. (2010). Telephones and Economic Development: A Worldwide Long-Term Comparison. Saarbrücken, Germany: Lambert Academic Publishing. Darwin, Charles. ( 2003). The Origin of the Species. New York, NY: Fine Creative Media. Dawkins, Richard. (1976). The Selfish Gene. Oxford, UK: Oxford University Press. Diamandis, Peter H. and Kotler, Steven. (2012). Abundance: The Future is Better Than You Think. New York, NY: Free Press. Duane, Diane. (1983). The Wounded Sky. New York, NY: Pocket Books. Drexler, K. Eric. (1987). Engines of Creation. New York, NY: Anchor Books. Dyson, Freeman J. ( 2004): Infinite in All Directions. New York, NY: Harper Perennial. Esfandiary, Fereidoun M. (1973). Up-Wingers: A Futurist Manifesto. New York, NY: John Day Co.
Ettinger, Robert. (1972). Man into Superman. New York, NY: St. Martin’s. Ettinger, Robert. (1964). The Prospect of Immortality. New York, NY: Doubleday & Co.
Garreau, Joel. (2005). Radical Evolution: The Promise and Peril of Enhancing Our Minds, Our Bodies — and What It Means to Be Human. New York, NY: Doubleday. Glenn, Jerome C., Gordon, Theodore J. and Florescu, Elizabeth. (2013). 2013 State of the Future. Washington, DC: The Millennium Project. Goertzel, Ben. (2010). A Cosmist Manifesto: Practical Philosophy for the Posthuman Age. Los Angeles, CA: Humanity+ Press. Haldane, John Burdon Sanderson. (1924). Daedalus or Science and the Future. London, UK: K. Paul, Trench, Trubner & Co.
Haraway, Donna. (1991). “A Cyborg Manifesto” in Simians, Cyborgs and Women: The Reinvention of Nature. New York, NY: Routledge. Hawking, Stephen. (2002). The Theory of Everything: The Origin and Fate of the Universe. New York, NY: New Millennium Press. Hughes, J. (2004), Citizen Cyborg: Why Democratic Societies Must Respond to the Redesigned Human of the Future. Cambridge, MA: Westview Press. Huxley, Julian. ( 1957). “Transhumanism” in New Bottles for New Wine. London, UK: Chatto & Windus. Kahn, Herman. (1976). The Next 200 Years: A Scenario for America and the World. New York, NY: Quill. Kaku, Michio. (2012). Physics of the Future: How Science Will Shape Human Destiny and Our Daily Lives by the Year 2100. New York, NY: Anchor Books. Kurian, George T. and Molitor, Graham T.T. (1996). Encyclopedia of the Future. New York, NY: Macmillan. Kurzweil, Ray. (2012). How to Create a Mind: The Secret of Human Thought Revealed. New York, NY: Viking Adult. Kurzweil, Ray. (2005). The Singularity is Near: When Humans Transcend Biology. New York, NY: Viking. Kurzweil, Ray. (1999). The Age of Spiritual Machines. New York, NY: Penguin Books. Minsky, Marvin. (1994). Will robots inherit the Earth? in Scientific American, October 1994. Moravec, Hans. (1988). Mind Children. Boston, MA: Harvard University Press. More, Max. (2003). The Principles of Extropy. Version 3.11. The Extropy Institute. More, Max and Vita-More, Natasha. (2013). The Transhumanist Reader: Classical and Contemporary Essays on the Science, Technology, and Philosophy of the Human Future. Hoboken, NJ: Wiley-Blackwell. Nam, Ramez. (2005). More Than Human: Embracing the Promise of Biological Enhancement. New York, NY: Broadway Books. Paul, Gregory S. and Cox, Earl. (1996). Beyond Humanity: Cyberevolution and Future Minds. Hingham, MA: Charles River Media. Roco, Mihail C. and Bainbridge, William Sims (eds.). (2003). Converging Technologies for Improving Human Performance. Dordrecht, Netherlands: Kluwer. Sagan, Carl. (1977). The Dragons of Eden: Speculations on the Evolution of Human Intelligence. New York, NY: Random House. Simon, Julian L. (1998). The Ultimate Resource 2. Princeton, NJ: Princeton University Press. Stock, Gregory. (2002). Redesigning Humans: Our Inevitable Genetic Future. New York, NY: Houghton Mifflin Company. Teilhard de Chardin, Pierre. (1964). The Future of Man. New York, NY: Harper & Row. Venter, J. Craig. (2008). A Life Decoded: My Genome: My Life. New York, NY: Penguin. Vinge, Vernor. (1993). The Coming Technological Singularity in Whole Earth Review Winter issue. Vita-More, Natasha. (1999). Create/Recreate: 3rd Millennial Culture. Los Angeles, CA: MoreArt. Warwick, Kevin. (2003). I, Cyborg. London, UK: Garnder’s. Wells, H.G. (1902). The Discovery of the Future. Nature, 65. World Transhumanist Association (Humanity+). (2002). The Transhumanist Declaration. World Transhumanist Association. Young, Simon. (2005). Designer Evolution: A Transhumanist Manifesto. New York, NY: Prometheus Books. Sir Arthur C. Clarke in 3001: Don’t Panic!